Unfortunately, there are too many variables with regards to installing cafe lighting to offer a standard price. If you're interested in achieving this effect, please speak with an event representative. 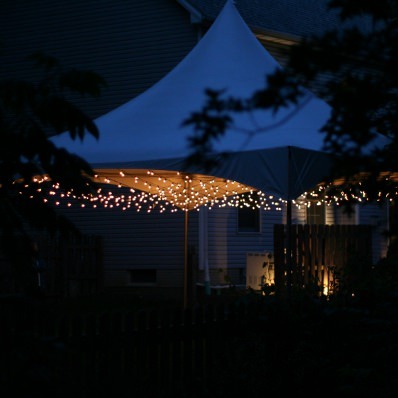 And they're not just for tents; how about hanging them above your dance floor?